How to Secure Credit Card? CVV and OTP is enough? Home » Credit Card » How to Secure Credit Card? CVV and OTP is enough? Credit card is one of the most used financial products now a day. You spend a lot of time to select best credit card, but do you really spend a time to understand how to secure credit card? Do you know the importance of CVV and your credit card number? Credit card frauds are increasing at the jet speed. Social Engineering, skimming, phishing are some of the methods used by fraudster for credit card fraud. Let me share one recent incident of social engineering with you. My friend received a call from Credit Card Company. A caller explained that your credit card usage history is very good and company decided to give you 50% cash back offer for every transaction. In order to avail this offer, you need to send scanned copy of your credit card for verification. You will receive offer letter after verification. Without thinking twice, he forwarded scan copies of a front and back side of a credit card as required. But the caller didn’t turn up after that. A couple of days later he received a big bill of the credit card. While inquiring he came to know that his card was used in doing a couple of unauthorized transactions. He immediately filed complaint at a police station and cyber-crime cell were able to trace cheater. Fraudster also confesses that he has done a couple of frauds like this. He used most popular social networking site Facebook to get personal information for this type of frauds. This incident is an eye opener for the people who keep all personal information open on social networking sites. Although we have additional security features like OTP, 3D Secure PIN etc. How come someone with credit card number and CVV can do credit card transaction? Well, it is because many sites allow online transactions without OTP. You must be thinking what is meaning of CVV and OTP? CVV is known as credit card verification value code. The CVV is 3 digit number mentioned at the back side of credit card nearby magnetic strip. In order to do any financial transaction online, you need to enter CVV. CVV is proof that card is physically in your possession. Other agencies also refer CVV as CVV2 or Credit Identification number CID. CVV is enough for all credit card transactions? Apart from CVV many banks and credit card companies ask for OTP, 3D Secure PIN to complete the transaction. OTP is one-time password sent to your mobile number. Before completion of online credit card transaction, you need to enter OTP. Unless you enter the OTP transaction will not be completed. What is 3D Secure PIN? 3D secure PIN or password is additional security layer applied to your credit card. This 3D secure PIN is required whenever you want to use a card to make an online purchase. The requirement of 3D secure PIN prevents unauthorized usage of your credit card. It is also termed as Verified by Visa password or SecureCode. 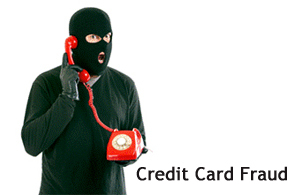 There is always a risk of credit card frauds. However, you can take the following precaution to avoid it. Don’t give Credit Card Details to anyone. Never respond to unsolicited phone calls, visits or email messages from individuals asking about personal information, unless you verify its authenticity. Do not respond to emails from unidentified sources. Scratch your CVV number from Card. Memorize CVV number. Do not write CVV or Credit card number anywhere. Do not share your credit card password (3D Secure PIN) with anyone ever. Sign back credit card immediately after you receive it. Beware of Forged websites. A website where it is safe to enter personal information begins with “https” — the “s” stands for secure. Regularly monitor your credit card transactions. While making an offline transaction at a petrol pump, hotel etc make sure a card is swiped in front of you. Make sure that card is used on a machine which is authorized machine/POS by banks and not on a machine which looks doubtful; it can be “Skimmer” which can steal your data. Use credit card with an inbuilt limit of 20,000 Rs. or 30,000 Rs. So, Next time when you receive any call related to credit card do remember what you have read here!